RHYTHM OF THE NEEDLES: Happy Canada Day! Bonne fête du Canada! 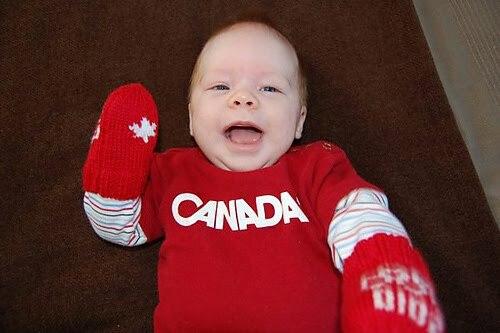 "Canada is a country whose main exports are hockey players and cold fronts"
Say'in, "Hi Grandma!" and what a happy looking baby. Gee, oh where, oh where did that handsome baby boy get the wonderful mittens? Does he really need them in July?